DETAIL is an international professional journal published ten times per year, which is dedicated to architectural commentary and the documentation of building developments. 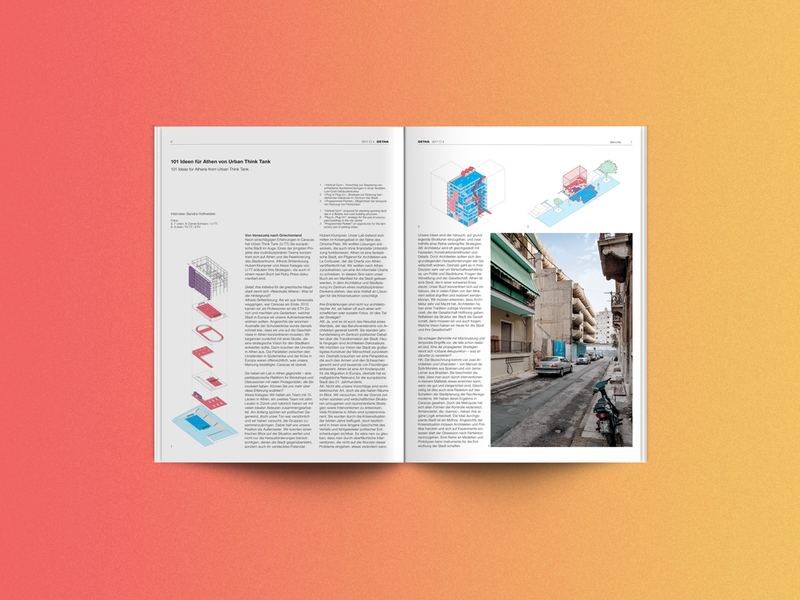 To coincide with the release of the book Reactivate Athens: 101 Ideas, I was interviewed, along with Alfredo Brillembourg and Hubert Klumpner, by the magazine's editor, Sandra Hofmeister. The interview explored the reactivation strategies outlined in the book, as well as the possibility for European cities to learn from the developing world. This issue of the magazine also includes contributions from Martin Knight and RCR Arquitectes.